Acme Stone Company, Inc. is a family-owned and operated granite sales and service organization spanning three generations. Since 1959, we have produced, delivered, and placed granite memorials for monument retailers, individuals, and municipalities throughout the Eastern US. Acme’s memorial team is equipped with the skills and knowledge to make the memorial you envision become reality, and it is our expectation that we provide superior value through quality products and service. 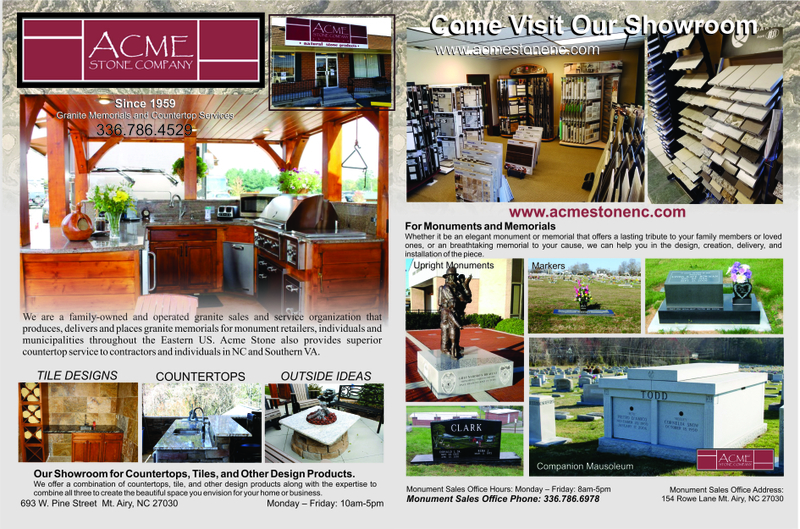 Acme Stone began providing superior countertop service to contractors and individuals in NC and Southern VA in 1993! Today we offer a combination of countertops, tile, and other design products along with the expertise to combine all three to create the beautiful space you envision for your home or business.